Your web browser is too old. Please upgrade to Internet Explorer 8.0 or later (You can get it here) or use another browser such as Google Chrome or Mozilla Firefox. Alternatively you can download a copy of our print catalog here and/or call us at 973-579-7205 to place an order over the phone. 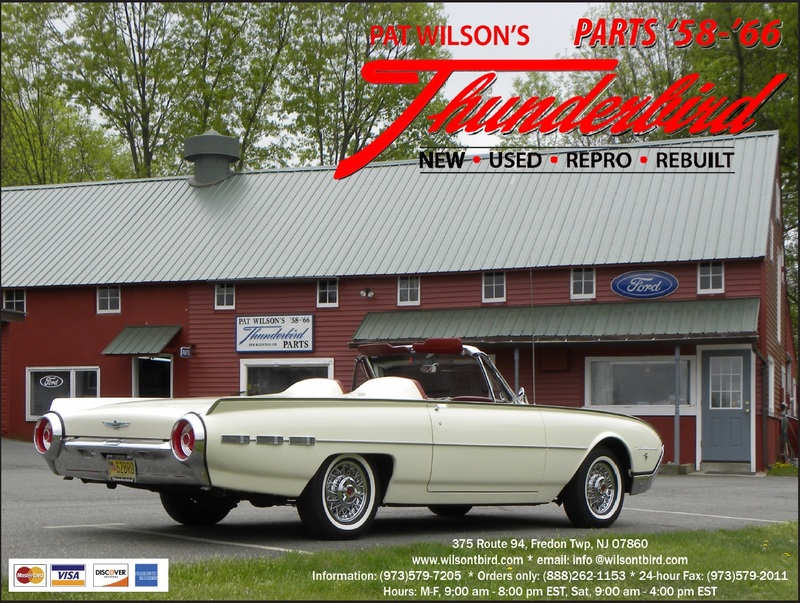 Welcome to Pat Wilson's Thunderbird Parts! Pat Wilson's Thunderbird Parts features the highest quality classic Thunderbird parts available. To begin shopping, click on a link on the left side. ©2019 Pat Wilson's Thunderbird Parts. All Rights Reserved. Core charge applies to select items.